There is nothing like capturing those special moments of your baby. They are rare and precious. We store those moments in our hearts and in our memory. Sometimes we even write those moments down in a baby book or use an app on our phone to record them. That way you can always revisit and remember that special time. 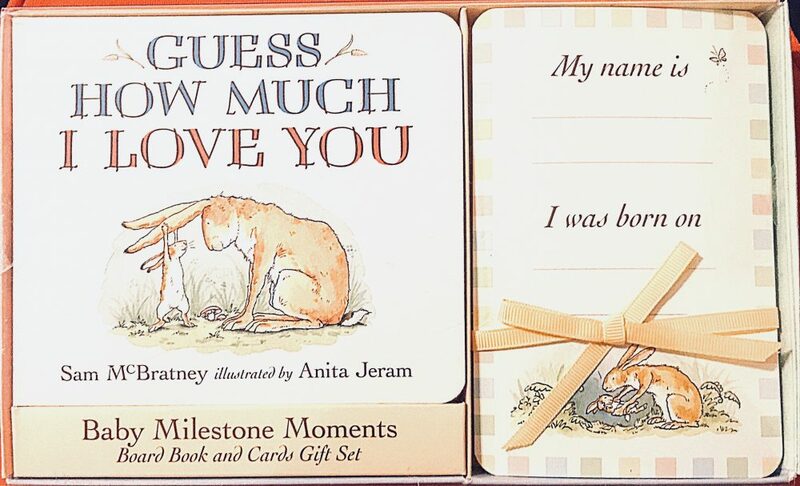 “Guess How Much I Love You” Baby Milestone Moments by Sam McBratney and illustrated by Anita Jeram, is the perfect board book and cards gift set to track your baby’s milestones. “Guess How Much I Love You” board book is a great book that your little one can treasure and pass down for generations to come. Since the book has a hardcover, you do not have to worry about torn or worn out pages. 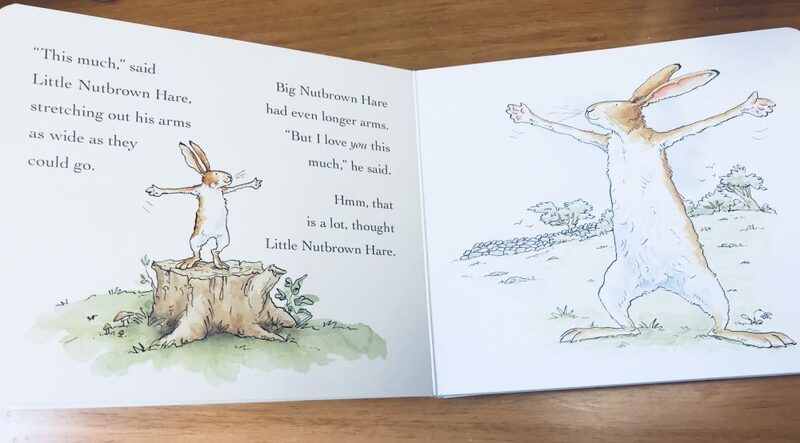 This book tells the story of how the Little Nutbrown Hare wants to show Big Nutbrown Hare how much he loves him. In this story, we learn that love cannot be measured by the length of someone’s arms or as high as the sky. Love is immeasurable. Your little one will love this book for years to come. The beautifully designed cards gift set is the perfect gift to give as a baby shower gift. This twenty-four gift set allows parents to capture their babies moment from the day they are born. On the back of each card, you have free space on the back to write whatever you wish. 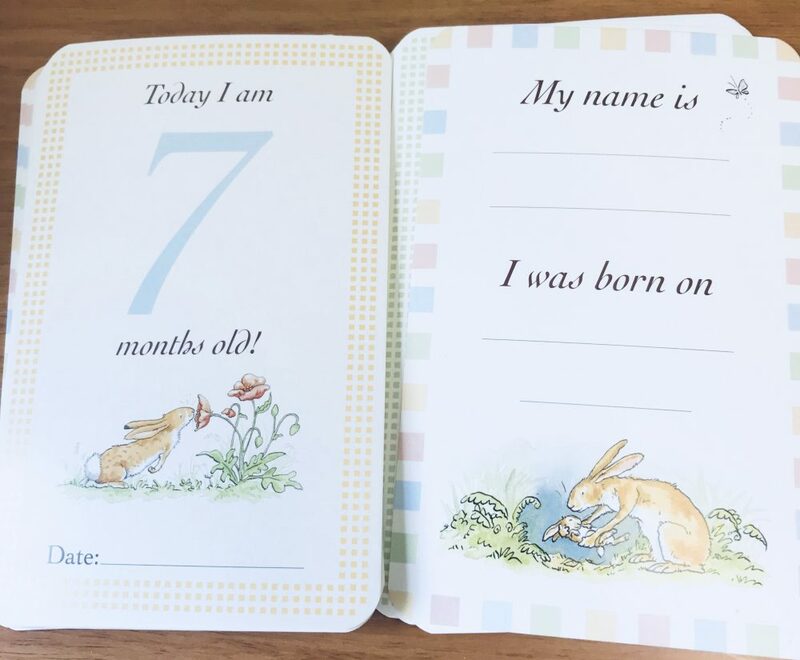 On the front side of each card, it provides space for the parent to write down the dates that their child turned one month, two months, three months, and so on. This card set also includes those big first moments: first words, first steps, first tooth, first outing, etc. Plus, the last card reads the famous “I Love You to the Moon and Back”. Capture those special moments each and every day with your baby using the “Guess How Much I Love You” Baby Milestone Moments. You and your child will treasure these moments for a lifetime.